Your Coq au vin Valentine’s Day dinner was a great success. Now it’s time for dessert. As promised, here’s a dessert that’s sure to charm. With just a few simple ingredients your sweetheart will be swooning over a delightful and impressive dessert. In the Philippines it’s called leche flan, the Spanish call it flan, Italians call it crema caramella, the French call it crème renversée au caramel or crème caramel. 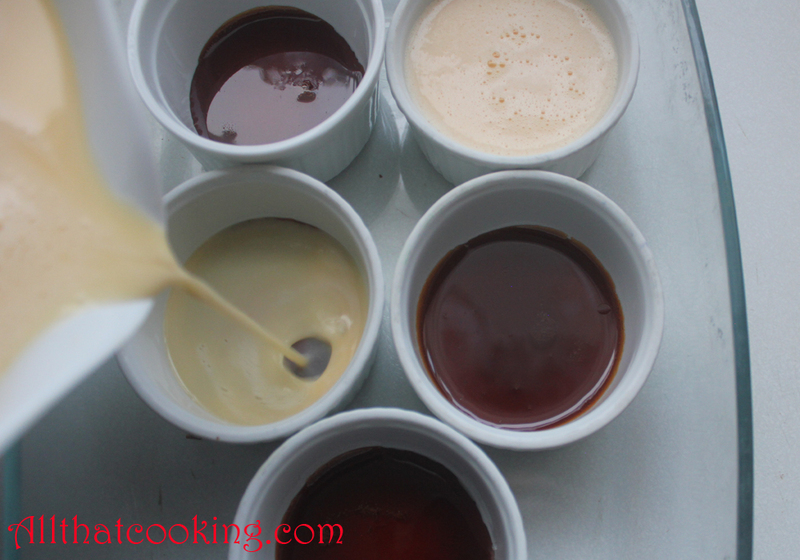 It’s not difficult to prepare and when you turn it out onto a dessert plate, the lovely silky custard simply glazes itself with the caramel in the cup. 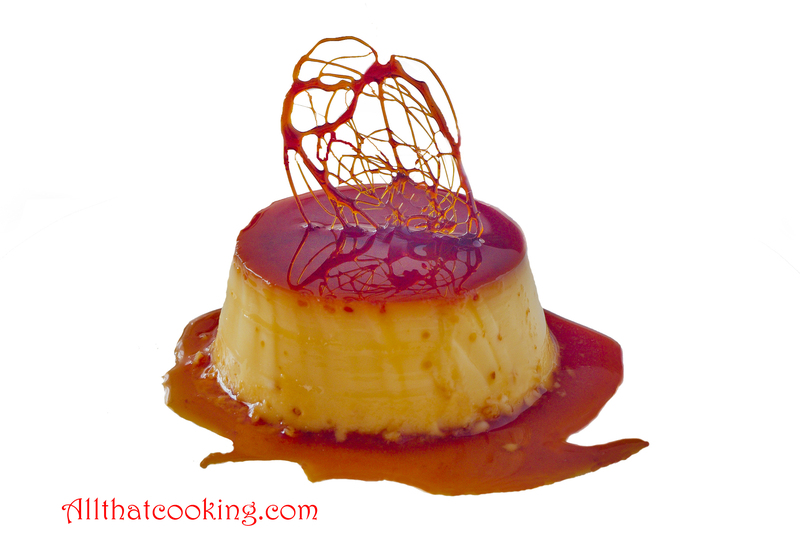 Don’t forget the caramel drizzle decoration for a sensational and impressive presentation. After dessert sip some Grand Marnier by the fireplace. We know what the answer will be. 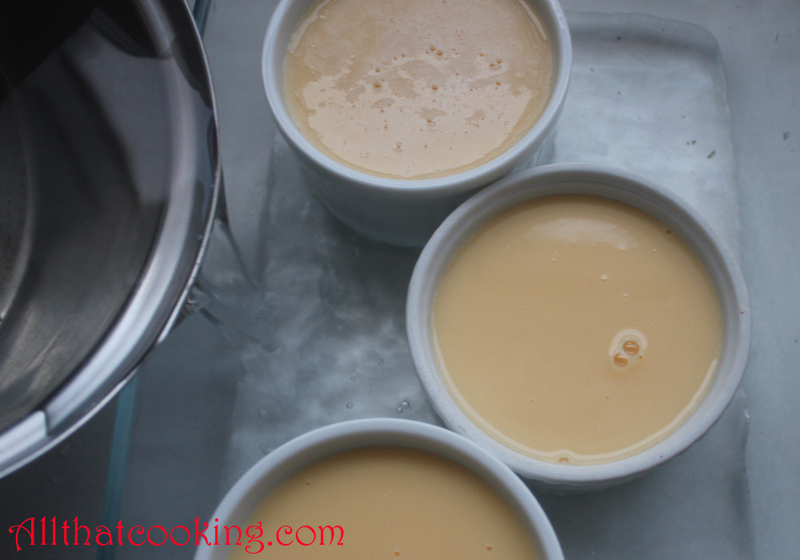 . .
Plan ahead – the crème caramel needs to be refrigerated at least 4-5 hours. It can be made the day before serving. 2. 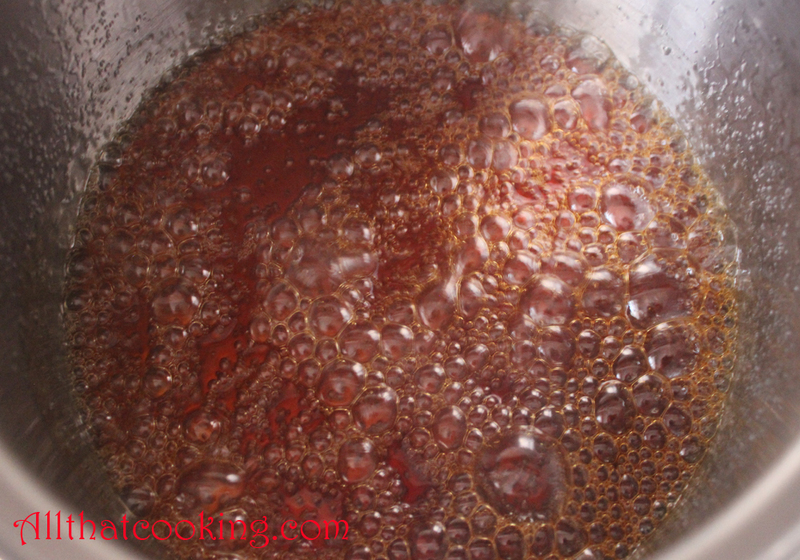 In a small sauce pan, bring sugar and water to a boil over high heat until sugar begins to melt and turn golden. Do not stir. Reduce heat to low and cook until sugar turns a deep golden brown. Stir occasionally after sugar begins to melt and as mixture bubbles. Remove pan from heat. 3. Pour or spoon about 1 heaping tablespoon of caramel into each soufflé cup. This should be enough to cover the bottom of each cup. Set cups aside. 4. If you have some caramel left over, it’s easy to make drizzle decorations. 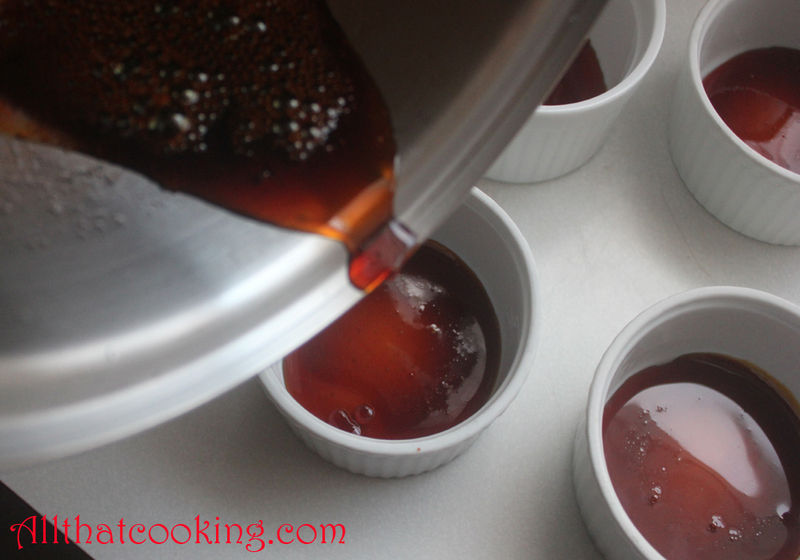 Dip a fork or end of a spoon into warm caramel and just drizzle it onto parchment paper. If you want to make a special design, like a letter or heart, draw the pattern on the back of the parchment paper, then just drizzle the caramel over the outline. Refrigerate until hardened and you are ready to use. 1. 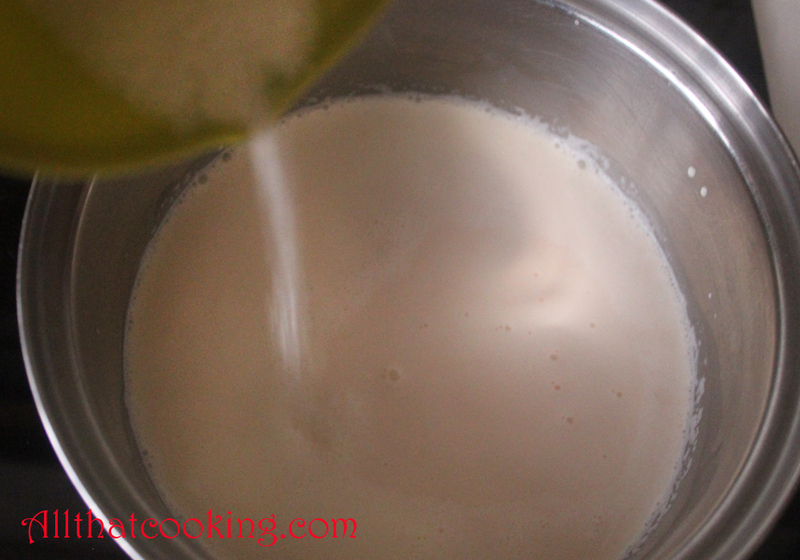 In a medium saucepan bring cream, milk, vanilla and half of the sugar to a boil over high heat. 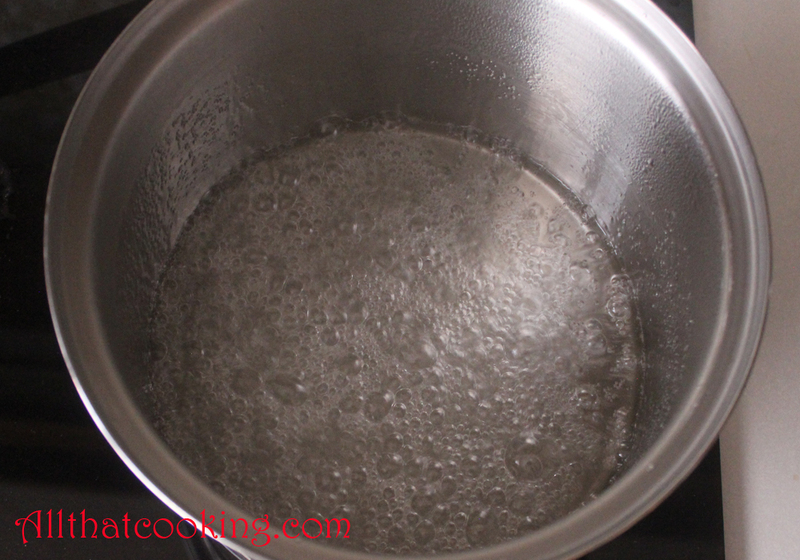 When boiling, remove pan from heat and stir mixture to dissolve sugar. Reserve. 2. 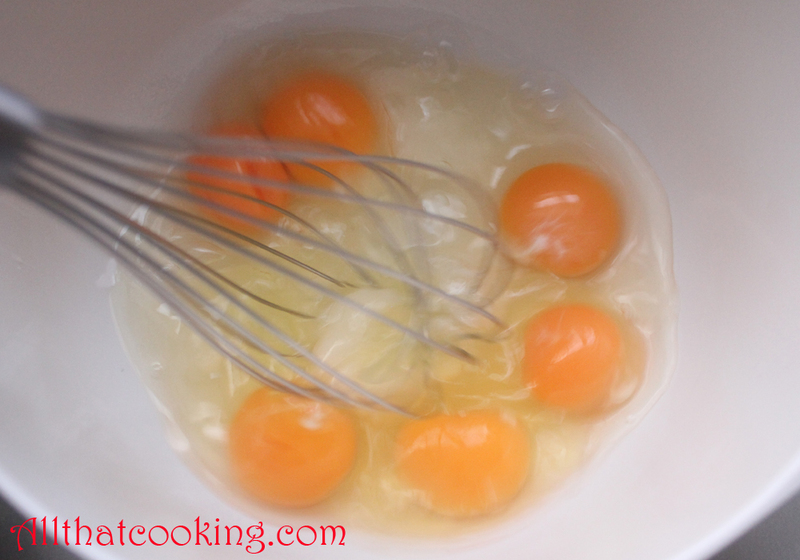 In a medium bowl whisk remaining sugar, whole eggs and additional yolks until they just come together. 3. 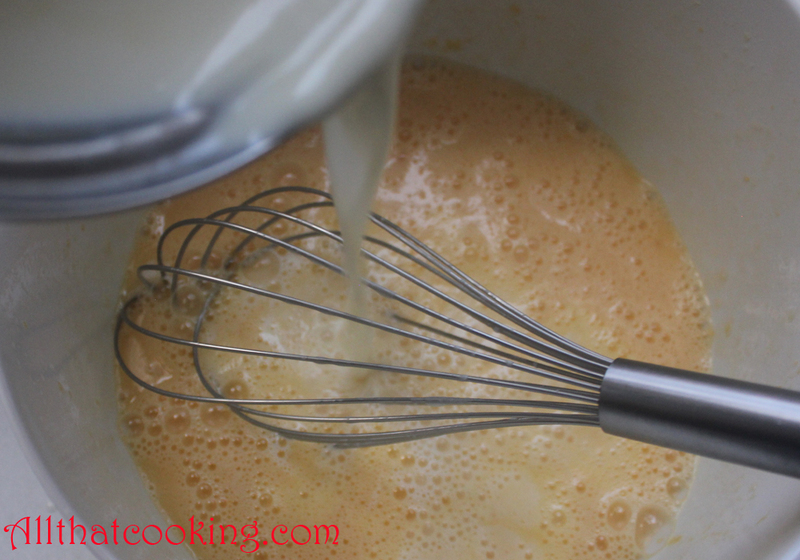 In a very slow stream pour hot milk mixture into egg mixture gently whisking until well mixed. 4. Pour custard mixture through a sieve into a clean, medium size bowl. This ensures a lovely, silky texture. 5. Fill each caramel coated soufflé cup with custard. 6. Place soufflé cups in a baking dish big enough to hold all of the cups. Carefully pour hot water into the baking dish, around the soufflé cups so that the water comes about 1/3 up the sides of the cups. Be careful not to splash water into the custard. 7. Bake in preheated oven for about 40 minutes or until the tip of a knife inserted into the custard comes out clean. 8. Remove custards from oven and cool to room temperature, then refrigerate. 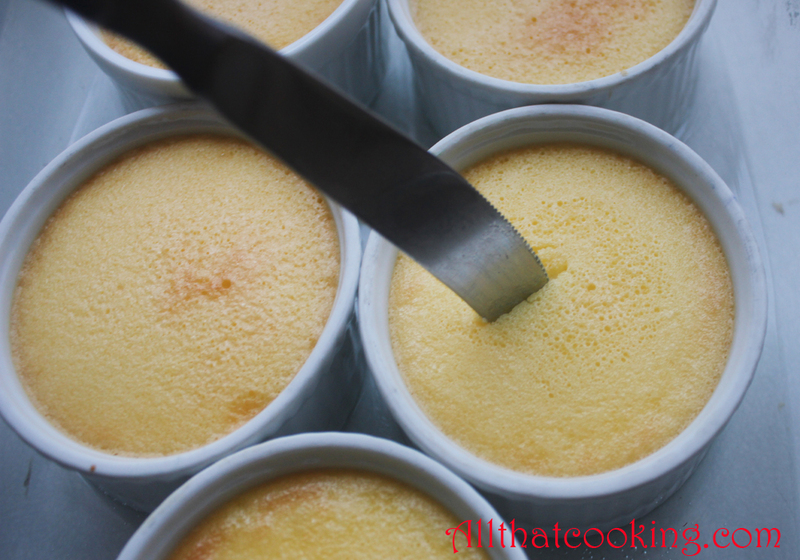 To serve, run a small sharp knife around the sides of the soufflé cup to loosen the custard. Invert a small dessert plate over a soufflé cup, turn it over and your crème caramel should gently slide from the cup onto the plate. 9. 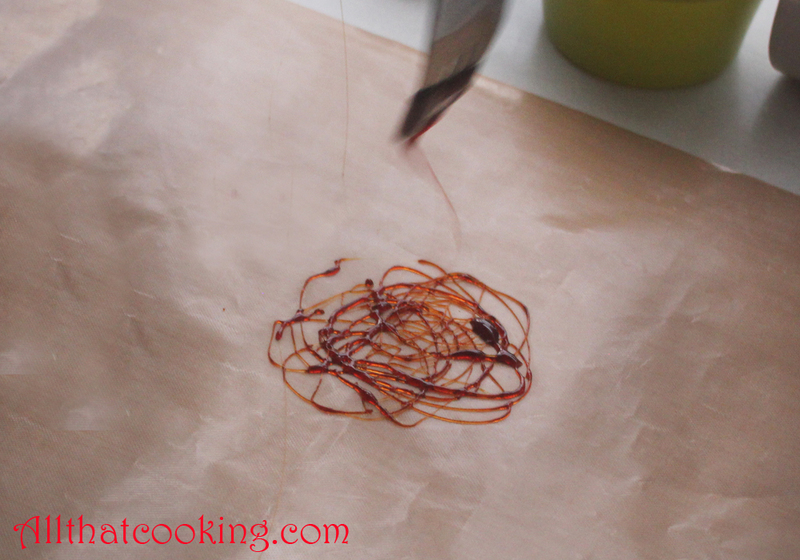 Remove caramel drizzle decoration from parchment paper and place on your sophisticated dessert. Gallery | This entry was posted in Desserts and tagged crème caramel, crème renversée au caramel, crema caramella, flan, leche flan, Valentine's Day dessert. Bookmark the permalink. You have outdone yourself! This could be the pretties and best creme caramel I have ever seen. Definitely 5-star-restaurant quality! Many thanks and a Happy Valentine’s Day to you! Awesomeness all around. I love creme caramel and yours look just perfect. Thanks Toni. If you make this let us know how you liked it.